Isn't it a little bit like Alice in Wonderland... A girl and a bunny... and many more sweetly chic things, slightly odd, but totally unforgettable. Yes "you're entirely bonkers. But I'll tell you a secret. All the best people are." 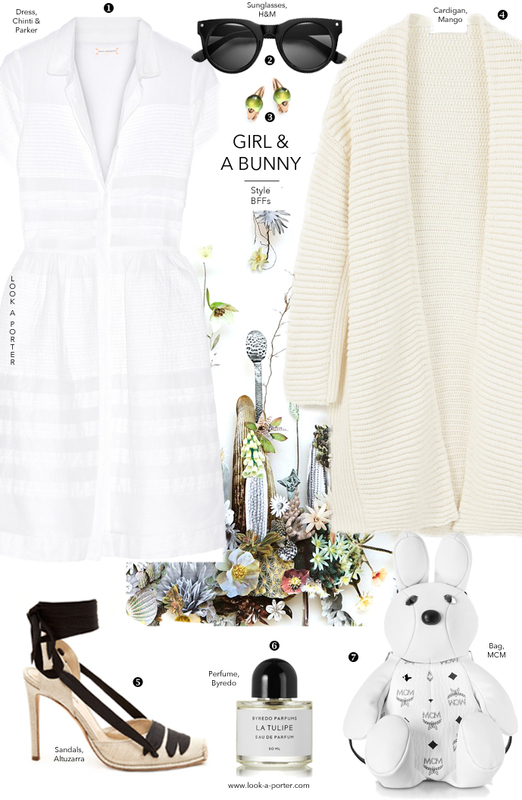 So wear your white dress like the world is your wonderland... And don't forget the bunny.